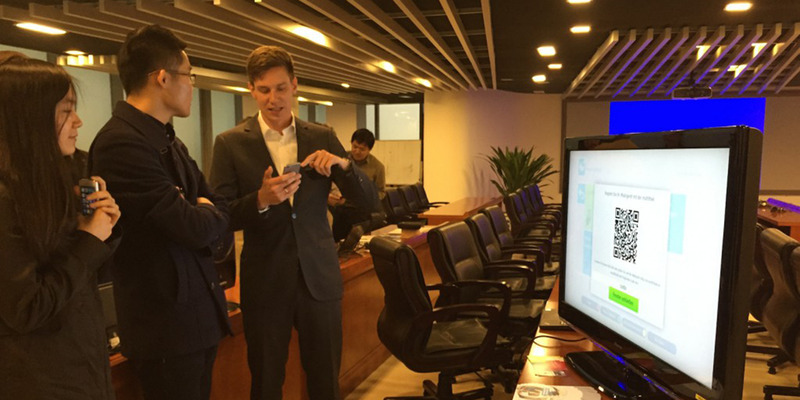 Christopher Krauß, scientist and project manager at our Business Unit “Future Applications and Media – FAME”, participated in the CHOICE Workshop on March 31, 2015 in Beijing, China. He held a presentation on the influence of HbbTV on SmartTVs in Europe. The Workshop “Immersive and Interactive Media” is the first workshop of CHOICE where several ICT researchers from Europe and China come together and get into dialogue with potential industry partners. Christopher Krauß from Fraunhofer FOKUS holds a presentation on “How HbbTV leverages SmartTVs in Europe”. CHOICE is a project to enhance the EU-China coorperation in ICT R&D and industry. The consortium arranges workshops, webinars and events. Furthermore, CHOICE developes an online database for showcasing the work of Chinese and European scientists.